Happy New Year! 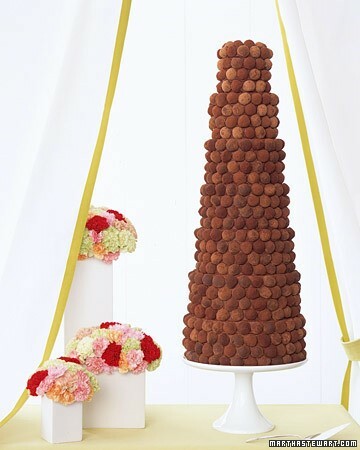 As we head right into 2017, now is a perfect time to make a resolution to have a spectacular and unique wedding cake on your big day. Can you feel it? Fall is almost here! And that means it is time to start talking about dark and dramatic – and in today’s case – chocolate wedding cakes! I love the dramatic look of today’s cake – a tower of dark chocolate icing adorned with a few white flower details. Chocolate cakes as wedding cakes is a trend I can completely support. 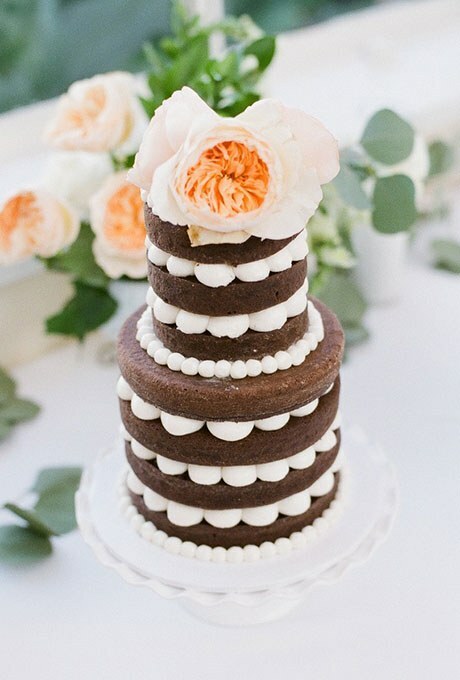 I love the idea of serving up something nontraditional – like this dark chocolate wedding cake. It’s so dramatic and unexpected which makes it perfect! Care for some chocolate? 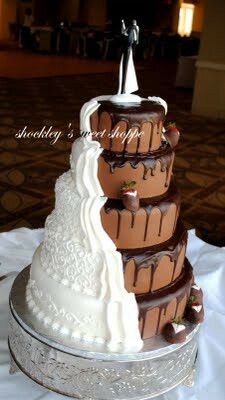 Because I am having a totally chocolate attack. And now, so are you. I picked this cake for one reason. 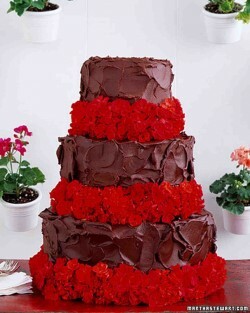 That’s what this cake reminds me of. The thin minty goodness that appears every March and then is unceremoniously ripped from the parking lots of grocery stores a few weeks later. I typically cry until June and then I forget about it again until February when my little friend comes around with her cookie selling sheet. Oh yes. I love Thin Mints. I have no idea if this cake is actually mint flavored..but the light green and brown color combination remind me of them. 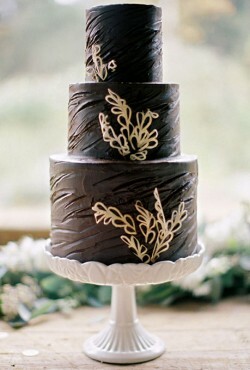 Or perhaps it’s the chocolate leaves as the topper that make me think mint. 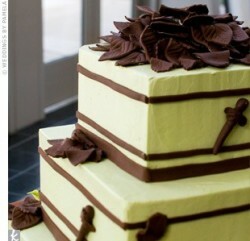 Either way it’s a yummy looking cake!